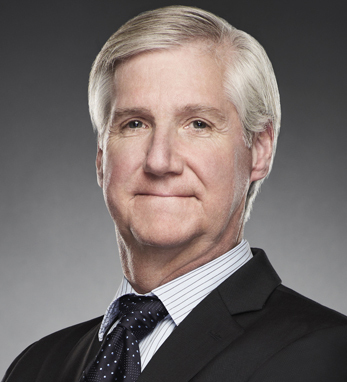 As the executive vice president and chief financial officer of DirecTV, Pat Doyle is in charge of all internal and external financial affairs. These include accounting, financial planning, treasury, business management, investor relations, and audit and tax. Before becoming executive vice president and chief financial officer, Pat held the position of controller and chief accounting officer. He is a certified public accountant, having first worked for Deloitte and Touche accounting firm. He then worked for Baker Hughes, an oilfield services company. Pat joined DirecTV in 1992 as director of Taxes and was appointed vice president of Taxes in 1996, having the added responsibility of Corporate Development in 1997. As a fourth-generation Irish American, tracing his family back to Tipperary, Pat believes his Irish heritage is important because it influences his behavior, values, morals and attitudes. He and his wife, Marla, have two sons, Brendan and Ryan.